Testimonials - Fornear Photo | Husband & Wife Wedding Photographers Traveling the Midwest & Beyond! 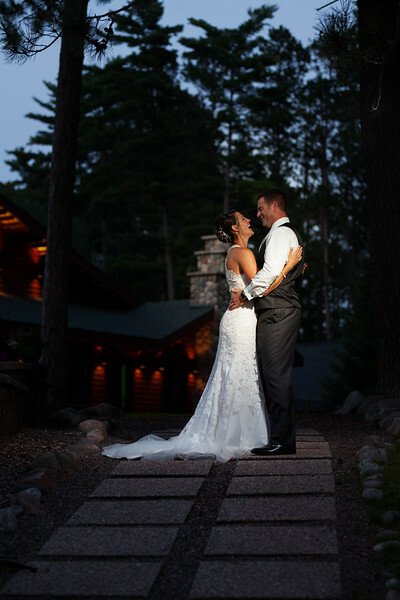 From our Northwoods weddings to our offbeat brides, we LOVE photographing countless awesome couples on their wedding day so it's very exciting for us when our brides and grooms take the time to give Fornear Photo an amazing review. Below you can find a few testimonials from our clients, many more can be found over on our WeddingWire page. For our engagement photos, Matt and Krista traveled to the Twin Cities so that we could be photographed where we first met. We spent a few hours taking photos and getting to know each other. Afterward, they sent us 100+ edited photos. Rather than making us order a set package of photo prints, we were given rights so we could print what we wanted. Leading up to the wedding Matt was very responsive to my emails, sent a guide ahead of time to help me think about must-have photos, and arranged a week-of phone call to make sure we were on the same page. We opted for their all-day wedding package, which meant they traveled to Madison, WI to be with us from 9:30 am when I was getting my hair done to 10 pm. Throughout the day they managed to capture the little moments while still leaving space for us to interact naturally with our friends, family, and guests. Fornear Photo was recommended to us by a friend of a friend. I went online and checked out their work and was immediately impressed! Matt and Krista were very quick to respond to any email I sent throughout the whole process of planning. Besides the amazing photos I saw online, I loved that they included an engagement photo shoot in their price to be able to get to known us as a couple beforehand. 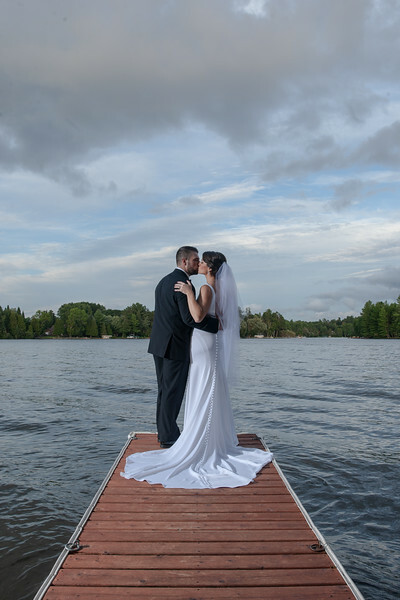 Another huge reason on hiring Fornear Photo was not having a time limit on our wedding day. I remember them telling us "we will be there as early as you need and stay as late as you want and won't leave until you think we've taken enough photos of your day". They did just that! Matt and Krista are AMAZING! We couldn't be more happy with our choice to have them as our wedding photographers! They are both extremely nice, personable and very professional. We have been having so many friends and family members commenting on our photos from Fornear and saying that some of them look like they should be in a magazine! They do amazing work! I highly recommend Fornear Photo to anyone and everyone!! Thanks again, Matt and Krista! You guys are THE BEST! Amazing! Krista and Matt are absolutely amazing to work with. They spend the time to talk to you before your wedding and an engagement photo shoot is a part of their package to allow them to get to know you. Then, they spent the time talking to us again before our wedding to ensure they knew what shots were important to us to make sure everything that was special was captured. They are so amazing and fun to work with too! My husband and I are not artistic people or people who are used to getting their pictures taken and they made us feel so comfortable. 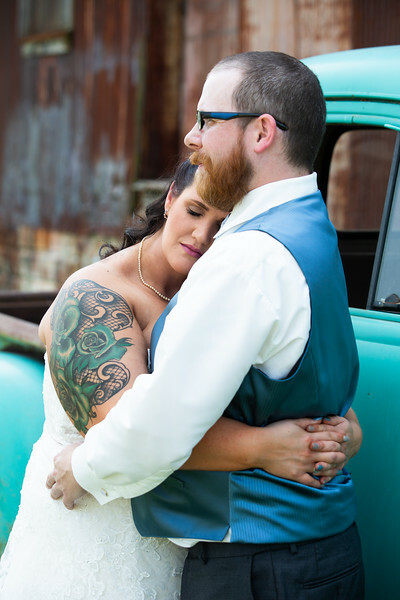 Not only that, the pictures are absolutely stunning and I can't wait to get the rest of my wedding photos. Another great thing is that they spend as much time as needed during the wedding to make sure that all our special moments were captured. We also got the photo booth, which I would also recommend. Everyone at our wedding had so much fun and there were multiple trips to the photo booth, with keepsake photos. Again, I can't say enough good things about Fornear photo and would absolutely recommend them! Seriously, just hire them! It's hard to even put into words how amazing Matt and Krista are to work with. They were able to truly capture who my husband and I are together. Our engagement photos included many candid moments that we didn't realize we're being photographed, but was exactly what we were looking for without even knowing. Our wedding was phenomenal there are no words to describe the moments they were able to capture. They are both amazing human beings with amazing personalities. I would definitely recommend them to anyone looking for wedding photos, Family Photos, or really any type of professional photos! Priceless! We had the most amazing experience working with Matt and Krista! We loved getting to know them during our engagement shoot last year and even more so during our wedding and leading up to it. We just received our final wedding package and not only was it so professionally delivered but the photos are incredible. I cannot believe how many different angles of each moment they got. Definitely a perk to have 2 photographers! We look forward to maintaining our friendship when we take trips up north. Thank you so much Matt and Krista for creating memories we will cherish forever!! Matt and Krista were wonderful to work with. Their package was inclusive and had no time limit, which was perfect for us because we had a four-hour gap between the ceremony and reception. It also included an engagement shoot, where we got to know them on a more personal level. It was well worth it, as I feel the time we spent during our engagement shoot made us more confident with Matt and Krista on our wedding day. Matt and Krista documented every important part of our day. They were professional , courteous, prompt, and just a delight overall. They responded promptly to all of our emails and they also worked very hard to get all of the shots we requested. We really enjoyed getting to know them throughout the process and we were so happy with our engagement and wedding photos. Our wedding photos were delivered in a beautiful package. I truly am impressed by them and I hope to work with them in the future. Matt and Krista are the best! They put together a photo package that has amazing value. No hidden costs or limits on number of photos, just an unlimited package with a free engagement shoot for a shockingly low price. Despite the great value, they take amazing photos! I've only seen a few of the wedding photos so far, but the engagement photos were fantastic and our friends and family raved about them. I'm so excited to see the rest of the wedding shots! Matt and Krista are a joy to work with. They have great ideas for photos and take your suggestions and photo wish lists very seriously. Finally, the Fornears are just enjoyable to be around. I've read in wedding magazines that you should like your wedding photographers since you will be spending your big day with them, which is why you should hire Fornear photo! We had so much fun at our engagement shoot that I invited them to the rehearsal dinner just to hang out with us. You will not regret hiring this vendor for your special day. 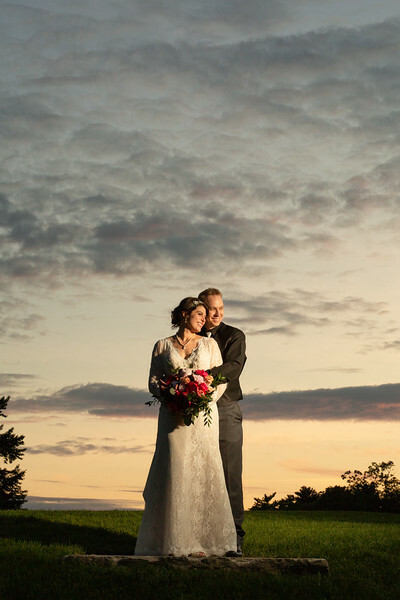 My husband and I worked with Fornear Photo for our wedding in southwestern Wisconsin in August 2018. 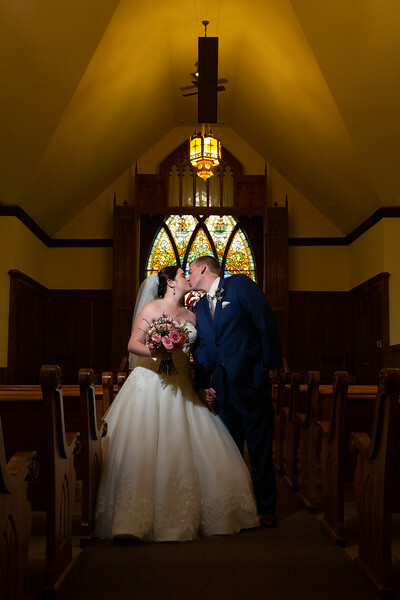 Fornear Photo did an amazing job, and we couldn’t be happier with the photos from our big day! They did a great job of making us feel important during the wedding planning discussions and at ease on our wedding day. Matt and Krista worked great as a team, capturing multiple perspectives of our first look, wedding party and ceremony. We loved their ability to make the local park, church and reception venue look amazing with their use of lighting and perspective. We also loved the bright vibrant colors they were able to capture. Matt and Krista not only traveled to southwest Wisconsin for our wedding, but they also did an engagement shoot in the area as well. The engagement shoot took place on a close family friend’s farm, so the fact that they were able to come to us to capture the photos in that special location was very meaningful. The engagement photo session occurred in the winter, and Matt and Krista were able to capture some very creative photos of us with the winter landscape and snow storm that day. After our engagement shoot, we received our edited photos for digital download, rather than making us order a set of prints. Following our wedding we received a flash drive with all our photos, which again allowed us to choose our own pictures for printing. For both the engagement shoot and wedding photos, some sneak peek photographs were uploaded to the Fornear Photo Facebook site, allowing us and our friends and family to enjoy some right away. Leading up to the wedding Matt was very responsive to our emails, sent a guide ahead of time to help us think about must-have photos, and arranged a phone call the week of the wedding to make sure we were on the same page. We have received lots of compliments on our photos and we are extremely happy with the photos and service we received from Matt and Krista. We would gladly recommend them to anyone. We had a great time with Matt and Krista on our wedding! It helped that we did our engagement shoot with them, so seeing them on the day of the wedding was relaxing because we already knew them. They did a great job keeping our wedding party organized and worked quickly, but never made us feel rushed. They worked to get special shots and were energetic the entire day. We love having an online album to share with family and friends so they can view pictures whenever they want. The package that the pictures were delivered in will be a great keepsake and totally worth it! Thank you, Matt and Krista! We had a great time at our wedding and your pictures truly captured the day and who we are as a couple. We will be recommending you in the future to anybody who asks! Matt and Krista were absolutely amazing to work with!!! They were so personable and their talent was more than I could have asked for. Matt was always quick to respond to my emails/texts and their flexibility was so relieving. As a bride from out of town, they worked so well with me to plan the perfect time and place to shoot our engagement pictures. After our engagement shoot, I was even more satisfied with my decision to work with Matt and Krista. They are an amazing team and I highly recommend them to everyone! Most Amazing experience ever! Great photos, awesome creativeness, great people, open minded, definitely will recommend to anyone that asks for about a good photographer! If you are looking for photographers that are fun, talented, professional, with absolutely reasonable prices, then look no further! I spend a lot of energy looking for photographers, because I hate having my picture taken. So photography was a major point of anxiety for me. However, once I met Matt and Krista, I knew that I didn't have anything to worry about anymore. They were laid back, fun, and great at working with us. They were super flexible, traveling to the Chicago area twice (once for an initial meeting, and once again to do an engagement shoot) then to Madison, WI where our wedding was. I highly recommend doing the package with the engagement shoot because it gave us time to get to know one another which really put me at ease on my wedding day. They also got some really fabulous pictures, and I was surprised to find I had fun! I'd never had fun having my picture taken in my life before that day. Seriously. It was a torture to be endured for the sake of my mother, usually. What I love about how Matt and Krista take pictures is that not only do they do a wonderful job at capturing how everything looked (not always an easy task for a wedding, I imagine) but they also captured how everything felt. When I look at our wedding pictures, I feel the same kind of joy as I felt when my husband and I got married. I also loved how they get plenty of great pictures of my groom and I, the wedding party, and our families, but they also caught sweet little moments of our guests enjoying themselves, and being with their spouses, children, and friends. I can't recommend Fornear Photo enough. Finding them was one of the best things that happened during my wedding planning process, and I feel so lucky. I'm so pleased with and grateful for all the work they did for us. Matt & Krista are wonderful to work with. It was 90 degrees on our wedding day and we still have the most beautiful pictures! They truly care about capturing all of the special moments of your wedding. They give a lot of direction while photographing, which I was glad of, because I've recently been in weddings where the photographers weren't helping to establish the shots. They are extremely organized, but were also able to improvise unique pictures at our wedding venue. All throughout, they were very polite and professional to us and all guests, even when I was admittedly a little grumpy because of how hot it was! Everything promised on their site and in our contract was delivered, and we even got our pictures back earlier than I thought we would. At the end of the day, we have all of our wedding memories beautifully documented and by two of the nicest ,most genuine people we've met. I also have to say that I did a lot of research and price comparisons, and for what Matt and Krista offer, their prices are a steal! We will definitely be calling them to document future life events as well! Matt and Krista did a wonderful job capturing the happiest day of our lives. They were wonderful to work with, professional, and always pleasant. I could not recommend them enough! Our photos were absolutely perfect.